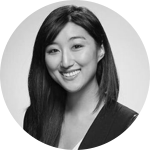 Jess Lee has been an Investment Partner at Sequoia Capital since November 2016. As well, Jess co-founded Polyvore, Inc. and served as its Chief Executive Officer and Vice President of Product Management in 2007. She is also a Director of Maven Clinic, a company that offers full family benefits suite that advances women and families in the workforce, while helping companies reduce maternity-related costs and retain talent. She previously worked at Google for four years where she was a Product Manager for Google Maps and launched features like My Maps and draggable driving directions. Jess graduated from Stanford University with a BS degree in Computer Science in 2004.